“Communicate science as authentically as you can – be feisty, be technical, be hilarious, be awkward, be obsessed. Whatever works for you is all good. 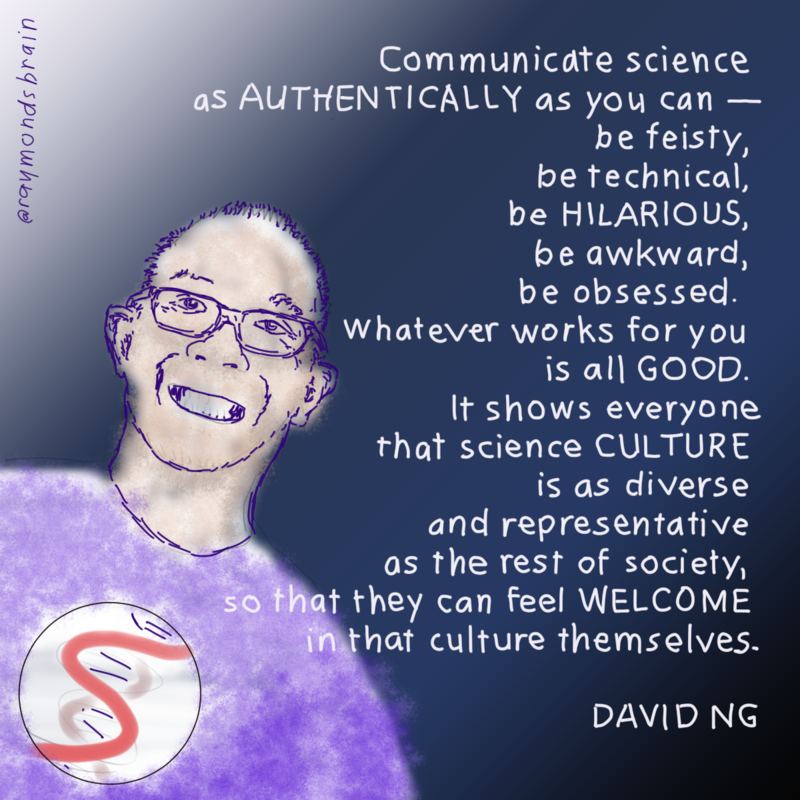 It shows everyone that science culture is as diverse and representative as the rest of society, so that they can feel welcome in that culture themselves.” – David Ng, director of the Michael Smith Labs at the University of British Columbia. Originally posted on September 19, 2016.